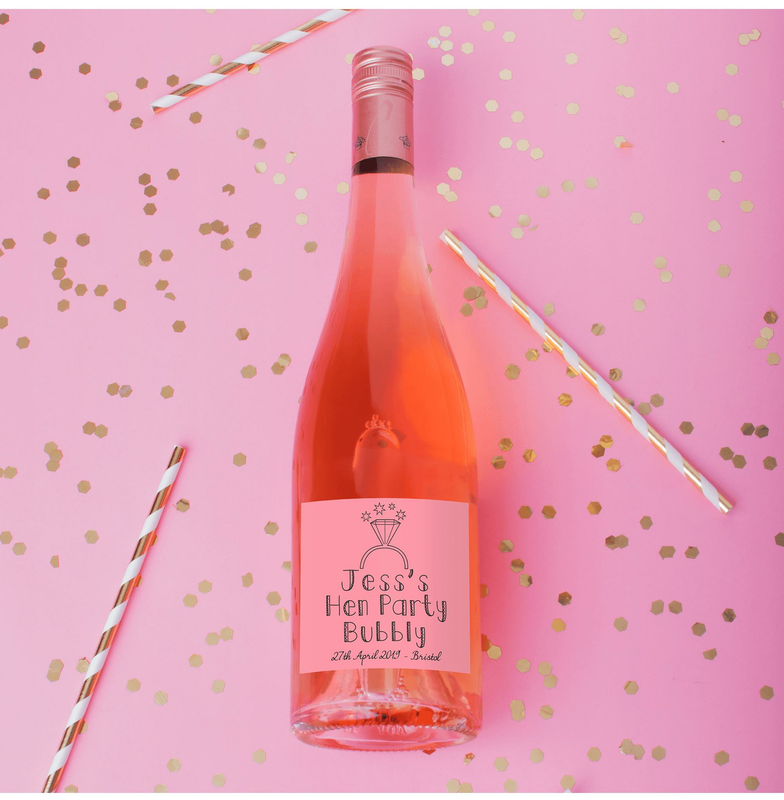 Get some unique hen party bubbly, a bottle that nobody has ever seen before. Personalise this wine bottle label with the Bride-to-Be's name, and the date and location of the party. Stick the label to the Bride-to-Be's favourite bottle, and serve at the hen party, not forgetting to let her keep it afterwards as a souvenir. What a great idea!.. this bottle label is fab. Great size so guaranteed to cover the original label. Looks great and its fun. Cant wait to present this to my daughter at her hen.on her fav prosecco. Easy ordering and quick delivery. Love hen party superstore. Tracey..mother of the bride EDINBURGH.